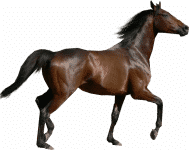 Panosteitis, often abbreviated as PANO, is a condition characterized by an accelerated rate of growth which most commonly results in lameness and/or arthritis-like aches or pains in the long bone of the legs. Very likely, the symptoms will manifest in one leg, then another; whereas, this process may repeat – with the most noticeable discomfort appearing to shift at random. 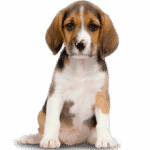 Although the struggles and discomfort are likely self-limiting as the dog matures, during these episodes of wandering lameness there is considerable pain or burdensome discomfort due to the ravages of inflammation. Pano normally is seen in older puppies, and the ‘large breeds’ are where this will usually be seen. Though Great Danes and Dobermans are very likely candidates, track records show that German Shepherd may be the most heavily hit breed. These issues can last several months, or even up to 12-18 months of age if there is not a change in diet to a high quality, meat based and moderate protein/fat/calorie type of premium food. It is equally important that this dietary change includes the use of properly measured amounts; i.e, not ‘hap hazard’ and not providing extra feedings beyond proper recommendations. 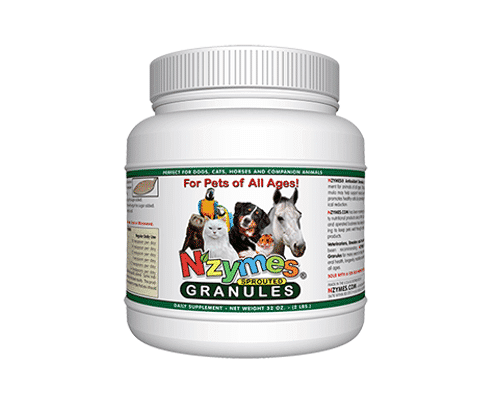 In the meantime, to help with the debilitating effects of a growing issue, like PANO, we highly recommend our “super-food” nutritional supplement, NZYMES® Sprouted Granules. The nutritional resources provided by NZYMES® have demonstrated again and again to be very beneficial in helping dog’s bodies handle the detrimental effects of developmental orthopedic conditions like PANO, as well as OCD and HOD.